The Scentsy Diffuser is easily the most attractive diffuser on the market, but don’t kid yourself: It’s so much more than a pretty package! With 16 lighting options, three mist options, and 27 natural and essential fragrances, the possibilities are limitless. Place it in an open space, away from walls or fabrics. Some oils — like citrus oils — are naturally caustic and may harm wood finishes or stain fabrics. For best results, place your diffuser on a smooth, even surface where it won’t get bumped. To avoid staining or damage, we recommend immediately cleaning up spills and thoroughly cleaning surfaces that oils come into contact with. Choose your mist setting. Your Scentsy Diffuser has three settings: high, low and intermittent (one minute on, one minute off). Depending on the thickness of the oil and the setting, your fragrance experience can last from 4-8 hours. For a longer fragrance experience, try the low or intermittent setting. For an instant, intense burst of fragrance, use the high setting. Experiment! 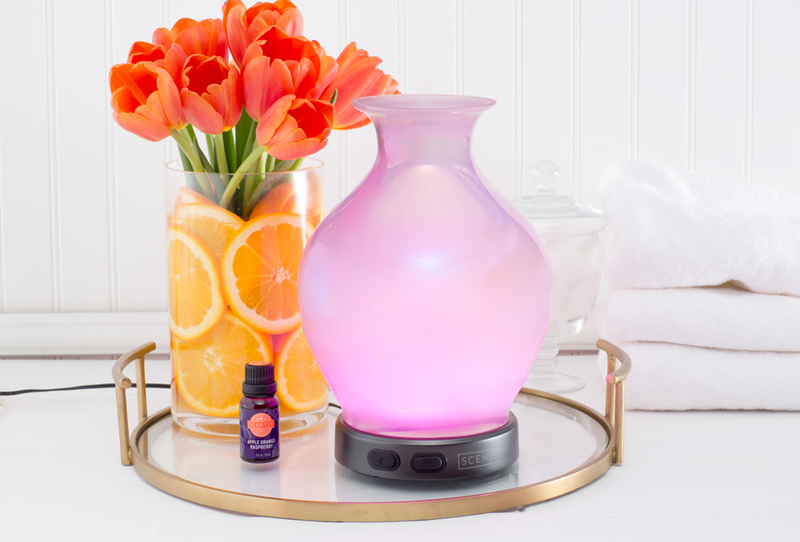 To start, we recommend using 4-5 drops of your favorite Scentsy Oil and adding more or less to suit your personal preferences and the size of your space. For a more customized fragrance experience, we encourage you to buy multiple oils and mix and match to create your own custom blend. Change it up. Diffuser shades and bases are available separately from your Scentsy Consultant, and new shades are added ever season (like Awaken). They’re an easy way to change up the look of your Scentsy Diffuser to fit the season or your mood. Keep it clean. To ensure the best experience use after use, empty any remaining water from the reservoir and wipe it out with a tissue or paper towel before adding a new oil. We also recommend cleaning the nebulizing disk — the little dot on the bottom of the reservoir –— with a cotton swab after eight hours of use. Create a ritual. Once you’ve figured out your PERFECT fragrance experience, make it part of your daily routine. Use an energizing blend like Lemon or Dash while you’re getting ready in the morning, or try a soothing fragrance like Lavender or Twinkle, Twinkle to wind down at night. Don’t have a diffuser? You’re in luck! 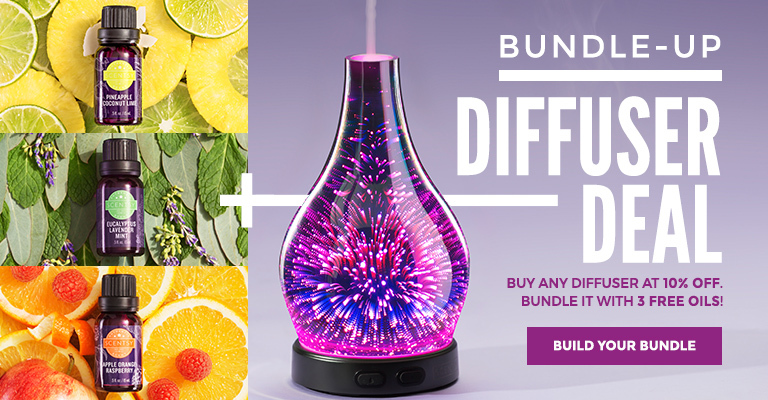 From Feb. 1-28, the Scentsy Diffuser is 10% off, PLUS you get to pick three 100% Natural Oils FREE! Contact your Scentsy Consultant today, or find a Consultant here.